Anyway, I completed 1 thing on my 11 things to do in 2011 which is pretty good! I tried out surfing up at Murawai. 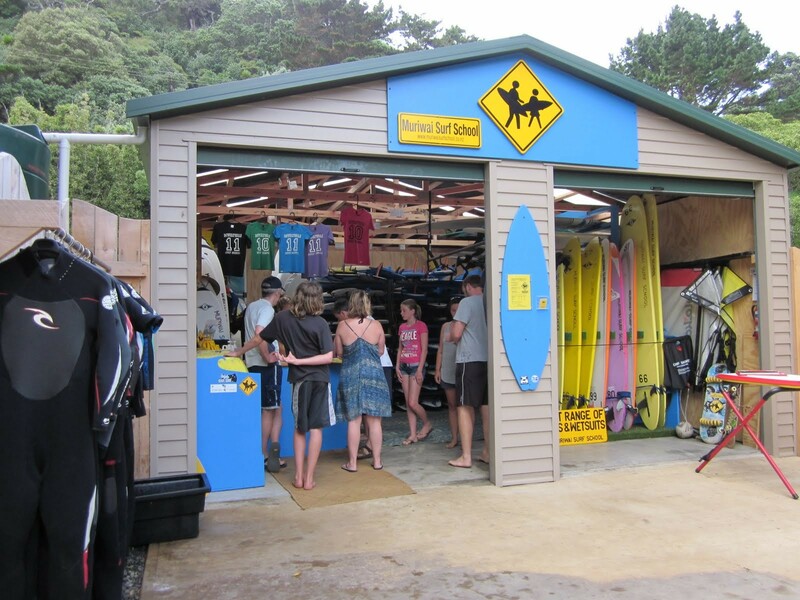 The Murawai surf school runs group classes, its an awesome way to learn. Firstly I arrived and got kitted out in my wetsuit and rash vest. Next we met our group and instructors and did some land based drills .. then we headed to the beach. Our instructors went over how to read the surf, how to look out for dangers etc etc .. we then hit the water .. soo much fun! The next thing I’m going to attempt on the list is Tree Adventures. James has decided that he is going to give it a go too, he hates heights, so we shall have to see how he goes. Hopefully the weather will be fine for Auckland Anniversary weekend because thats when we plan to go. Oh and I don’t know if I’ve told you all .. but I’ve organized a trip to the other side of the world! So that’s another thing on my things to do in 2011 in progress. James, the kids and I are flying out the day after my competition on a trip to see his family in the UK, we will stop in LA both ways to give the kidlets a bit of a break (and to see Mickey Mouse, who can resist a trip to Disneyland!). In “other breaking news” Ive signed up to do the three Auckland events of the Womens Triathlon series. The series is designed for beginners, so the disciplines are shortened, its a 300m swim, 10k bike and 5k run. I haven’t done any training at all, but I’m going to give it a go anyway. First event is this weekend and unfortunately the weather looks like its going to be abysmal! But will definitely tell you all about it next week. Next story 12 Weeks – I’m so excited!